Marlie is a rather slight woman, though not insubstantial. Her small form is wiry, with sleek limbs primed to burst into action at a moment’s notice. Overall, however, there is nothing particularly noticeable or impressive about her build. She moves quietly and unobtrusively, although she is certainly capable of commanding attention should the circumstance call for it. Marlie’s smooth, pale skin only serves to highlight the deep, rich hue of her glossy red hair - hair that is well worth a second glance. 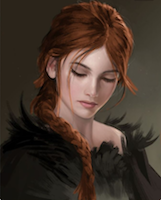 To the particularly observant, it more closely resembles an animal pelt than a well-kept coif, with bits of tawny brown and silver streaking through the heavy waves that flow below her shoulders. Bright hazel eyes, made all the more vivid by the aforementioned colors, regard the world carefully. This cautious consideration tends to be visible in the Kelvic’s expression. Even when she’s merely pondering what to eat for lunch, in fact, her countenance might project a certain cunning or expectation that might give others pause. 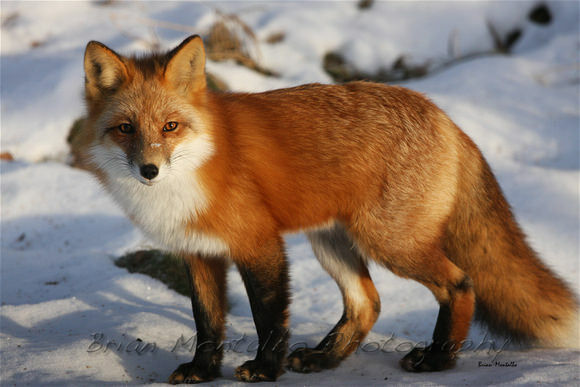 As a fox, Marlie measures about 30 inches from snout to bum, with her tail adding another 16 inches to her length. The deep russet of her fur almost seems to shimmer under the sunlight as it flows along the animal’s sleek form. 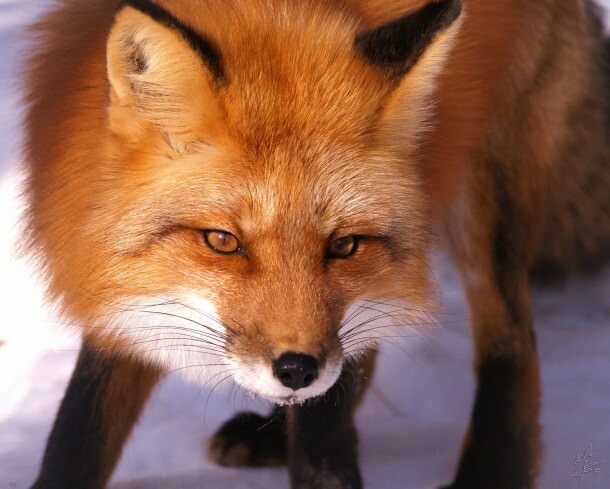 It ripples gently in time with the subtle muscles flexing just beneath as the fox moves, her black-tipped limbs generally placed with care and grace. Like many foxes, Marlie’s face tends to portray cunning and intelligence (there might not be any present, of course, but that’s the general expression she wears). Her bright copper eyes shine, with the right light appearing to almost set them ablaze, and are outlined by a small rim of dark black fur. A rather dainty snout hosts a shiny black nose, and her belly is covered in white fur that climbs part of the way up her face. Last edited by Marlie on March 24th, 2018, 11:40 pm, edited 14 times in total. It often feels as though Marlie is in a perpetual search for something she just can’t seem to find. The need the Kelvic feels to find a bondmate is strong, but the potential repercussions of that relationship terrify her. Instead, she turns her attention to pursuing the dubious “truth” of whatever situation in which she finds herself. It would not be accurate to say that Marlie seeks trouble, but it would be equally inaccurate to say that her actions never lead to any. This is only exacerbated by the creeping sense of desperation she feels whenever she ponders her lifetime. She doesn’t know exactly how much time she has, but she knows that her kind aren’t particularly long-lived. She’ll dive headfirst into almost anything that interests her in order to avoid pondering that subject, and often allows her curiosity to overwhelm her common sense. Last edited by Marlie on March 24th, 2018, 11:46 pm, edited 6 times in total. Last edited by Marlie on March 25th, 2018, 12:07 am, edited 4 times in total. Last edited by Marlie on March 25th, 2018, 12:03 am, edited 2 times in total. Last edited by Marlie on March 25th, 2018, 12:05 am, edited 1 time in total. Last edited by Marlie on March 25th, 2018, 12:06 am, edited 1 time in total.